Black Friday is a 2007 Indian docudrama film written and directed by Anurag Kashyap. Based on Black Friday: The True Story of the Bombay Bomb Blasts, a book by Hussain Zaidi about the 1993 Bombay bombings, it chronicles the events that led to the blasts and the subsequent police investigation. Produced by Arindam Mitra of Mid Day, the film stars Kay Kay Menon, Aditya Srivastava, Pavan Malhotra, Kishor Kadam and Zakir Hussain. Mitra, director of operations for Mid Day, approached Kashyap with the book and wanted him to write a television series based on it for the Aaj Tak TV news channel. Kashyap wrote the script in episodes for the six-part miniseries but later felt a feature film was more appropriate for the topic. Aaj Tak backed away from the project and it was shelved. Kashyap then suggested to director Aditya Bhattacharya that he make it into a film. When Kashyap told him he felt there was a film to be made about the event, Bhattacharya gave it to him to direct. The film's soundtrack album and the background score was composed by the band Indian Ocean, while the lyrics were written by Piyush Mishra. Natarajan Subramaniam served as the director of photography, while Aarti Bajaj was its editor. Black Friday premiered at the 2004 Locarno International Film Festival and was supposed to be released the same year in India. However, after a petition filed by a group accused of the 1993 bomb blasts challenging the film's release, the Bombay High Court issued a stay. Until judgement was delivered on the case it could not be released. On 9 February 2007, after the verdict was announced, the Supreme Court of India allowed its release. The film received critical acclaim. It won the Grand Jury Prize at the Indian Film Festival of Los Angeles and was a nominee for the Golden Leopard award at the Locarno International Film Festival. Made on a production budget of ₹6.5 crore (US$900,000), it grossed a total of ₹8 crore (US$1.1 million) at the box office. On 9 March 1993 a small-time thug, Gul Mohammed, is detained at the Nav Pada police station in Bombay and confesses to a conspiracy underway to bomb major locations around the city. The police dismiss his confession and three days later, a series of explosions take place in the city, leaving 257 dead and close to 1400 injured. Investigators discover the bombs, made of RDX, were smuggled into the city with the aid of customs officials and the border police. Tiger Memon is an underworld don whose office is burned during the Bombay riots. The participation of Muslim minorities in the riots leads to a meeting of underworld leaders in Dubai who take it upon themselves to seek retribution. Memon suggests an attack on Bombay would send the strongest message of retaliation. Asgar Muqadam, his secretary, is arrested on 14 March 1993. He is beaten until he provides whatever information he has about the bomb blasts. This initiates a full-scale police inquiry. Deputy Commissioner of Police, Rakesh Maria is put in charge of the case. Badshah Khan, one of the henchmen who had left Bombay and gone into hiding, is arrested by the police on 10 May 1993. Following the blast, accomplices to the crime are forced to lead a life of anonymity and secrecy as it becomes evident the Mumbai police have begun picking up the suspects one by one. To make matters worse, their passports seem to have been destroyed at the behest of Memon. Despite assurances to the contrary, the high command blatantly refuses any help once the bombings have occurred. Tired of being let down by his own people, and without a place to hide, Badshah Khan realises there is no justification for his acts and decides to become a police witness. On 4 November 1993, the police file a charge sheet against 189 accused. The Central Bureau of Investigation takes over the case. On 5 August 1994, Tiger's brother, Yaqub Memon, willingly turns himself in to the authorities. In a candid Newstrack interview on national television Yaqub states that it was Tiger and his underworld associates who orchestrated the conspiracy. 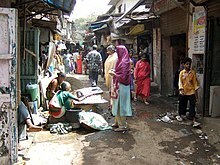 Some portions were also shot at the Dharavi slums. On 12 March 1993, a series of 12 bomb blasts took place in Mumbai, Maharashtra. The attacks were carried out in retaliation for the Bombay riots that occurred earlier in the year. They resulted in 257 deaths and 713 injuries. Anurag Kashyap's feature film directorial debut Paanch ran into censorship trouble and had been shelved when Arindam Mitra, director of operations for Mid Day, approached him with the book Black Friday: The True Story of the Bombay Bomb Blasts written by Hussain Zaidi, their chief crime correspondent. He wanted Kashyap to write a television series based on it for Aaj Tak, to be directed by Aditya Bhattacharya. Kashyap read an unedited version of the book, which had not been released at that point, and was "fascinated" by it. He wrote the script in episodes for the mini series but later felt it was better suited as a feature film. Aaj Tak backed off from the project after their executives read the first episode and the project was abandoned. Kashyap then suggested Bhattacharya to make it into a film to which Bhattacharya offered him to direct instead. Zaidi wrote the book following three years of research on the subject. Kashyap researched for a year including attending court to see how criminals look and to observe how court procedures work. He discovered criminals look normal and cast his actors based on this observation. The film's characters are all real people including: Kay Kay Menon playing investigating officer Rakesh Maria, Pawan Malhotra as Tiger Memon and Aditya Srivastava as Badshah Khan, the police approver who helped them crack the case. Filmmaker Imtiaz Ali portrayed the role of Yakub Memon. To get their perspective, Kashyap also read Voices, a book recommended by Zaidi, which includes the testimony of several individuals who were arrested. He asked Devashish Makhija, who was his assistant director, to do the research. Makhija described the research material he found and Kashyap continued to write. This resulted in the script being completed in 36 hours. To recreate several of the film's locations Kashyap watched actual footage from the government's Film Division, read all the newspapers describing the incident, and looked at press photographs. The most challenging thing for the crew, since the film was being shot in 2003, was to recreate 1993 when there were no cell phones or satellite television in India. The film was shot on the streets of Mumbai to avoid modern cars. It could not be shot from low angles because the hoardings and neon signs were contemporary. The crew had to make sure there were no mobile phones visible in the film. Kashyap said in an interview that he needed the city and had to "trim" it: "I shot mostly from the top angle and focused on my characters. There was a lot of guerrilla type shooting where nobody in the city came to know-we shot with hidden cameras. The police was [sic] supportive, Mid Day was at the job for permissions and all those things." He retained the actual names of people in the film who were involved in the blast. Kashyap shot the film without permission on actual locations. In the film, Dawood's house was shot in three different locations including Dubai and Lonavala. Because of the film's low-budget, the crew slept inside buses at night, shot the film during the day and moved to the next location. Kashyap shot at Behrampura, the site where the actual bomb was planted, using two hidden cameras, while the crew used walkie-talkies to communicate to avoid attracting a crowd. The film's principal photography began in October 2003 and was completed in 70 days. A twelve-minute police chase sequence in the film was improvised and shot in the Dharavi slums. It was neither in the script nor in the book. Kashyap wanted it because he felt it was boring to show normal arrests. He also wanted to use the chase to show the criminals' background and the exhaustion of the police. Natarajan Subramaniam served as the director of photography, while Aarti Bajaj was the editor. The band Indian Ocean composed the soundtrack album and the background score, while Piyush Mishra wrote the lyrics. It was Indian Ocean's first film soundtrack and consisted of nine tracks—three songs and six instrumentals. The album was released on 3 May 2005 under the Times Music label, and in DVD format on 15 February 2013. Kashyap said he opted for the band because he "wanted to use someone away from the pollution of Mumbai kind of music, sounds that are virgin, which have an eccentricity too". K. J. Singh served as the sound producer. The album received a generally positive response. Devdulal Das of The Times of India wrote that songs like "Bandey" "just re-established this quartet from Delhi as having a distinct sound of their own - something that most bands from India can't boast of." Bhasker Gupta of AllMusic called it a "full-blown and outright stylish contemporary and musically rich album" and wrote: "It's rare that one hears Indian classical music amalgamated with Western electric jazz and Sufi music, and this is where the beauty of this album lies." Black Friday premiered at the 2004 Locarno International Film Festival and was screened at festivals in Germany, Estonia, South Korea and the United States. It was ready for screening in India on 29 December 2005. A petition was filed by Mustaq Moosa Tarani, one of the accused, who stated the film could prejudice the case. His petition noted the final verdict in the trial had not yet been released and demanded a ban on the film until then. The Bombay High Court agreed and directed that the film not be released. Mid Day appealed to the Supreme Court, challenging the High Court's judgment. However, the court lifted the ban only after the verdicts were delivered in 2006. Kashyap did not feel the long delay before the film's release would "impair" its impact. He said: "It's a timeless film with a universal theme of religious intolerance leading to terrorism." He said that he was getting dressed in a suit, ready for the film's premiere on the release day, when he heard of the ban. He wore the same suit for a month and went into depression. The film was released after a twenty-month ban on 9 February 2007 on 100 screens in India, 10 in the United States and three in South Africa. The worldwide distribution rights were acquired by Adlabs Films. The film was released in DVD format on 5 April 2007. Upon its release, Black Friday received critical acclaim. Rajeev Masand gave it a positive review and said it is "one of the best" films he'd watched in recent years. He wrote: "Please don’t dismiss it as a boring art film, don’t confuse it for a documentary, it’s a dramatic feature that will rock your boat." Prithiviraj Hegde of Rediff.com noted: "While the film stays true as a dark, brooding, evil tale, it is told with a droll, dry humour that brings a smile even as the protagonists head toward their final unforgiving denouement." Anupama Chopra said the film had "several memorable sequences" but felt it was "static" as the screenplay does not allow the "characters to evolve or engage". Taran Adarsh praised the actors' performances calling the film "hard-hitting" with "the courage to say what it says". Nikhat Kazmi called it a "powerful, pointed and hard-hitting cinema that needs to be seen." Deepa Gahlot of Sify called it a "fabulously crafted and superbly enacted film, but not stark enough to be documentary and not fictional enough to be a feature". She felt that Kashyap tried to justify Memon's actions in the film. Rahul Desai of Film Companion wrote that the film is "more of a feeling—singularly shocking, stirring, cataclysmic, yet journalistic and depressingly objective, and one of the great achievements in Indian cinema". Baradwaj Rangan mentioned in his review that the film is a series of "superbly-orchestrated sequences" saying the "only thing you could fault it for is that it doesn't know when to stop". Namrata Joshi of Outlook called it an "audacious, daring and explosive piece of cinema". In 2014, Raja Sen called it Kashyap's "possibly best" and a "gripping, gloriously gritty film". Khalid Mohamed called the film "defiantly uncompromising" and Kashyap’s direction "unbelievably mature and searching". A review carried by The Hindu cited it as "one of the finest Indian films of recent years". Among overseas critics, Matt Zoller Seitz of The New York Times described the film as "epic and raw, and cut out from the same bloody cloth as Salvador and Munich". The Hollywood Reporter's Kirk Honeycutt compared the film's "journalistic inquiry into cataclysmic social and political events" to that of Gillo Pontecorvo's The Battle of Algiers. He noted the film is objective without any "lurid sensationalism". Maitland McDonagh felt the film "humanizes the bombers without excusing their actions". She also said it "owes more to films like Munich than mainstream commercial spectacle". David Chute of LA Weekly described it as "a rigorously naturalistic docudrama about a complex police investigation". Ethan Alter of Film Journal International called it "a potent reminder that Indian filmmaking isn't limited to Bollywood super-productions". Variety's Derek Elley called it a "fact-based procedural whose drama gets lost amid its analytical detail." A review carried by Time Out called the film a "post-9/11 food for thought and a vivid reminder not to get arrested in India, where the prisoners’ bill of rights is very short". Black Friday was made on a production budget of ₹6.5 crore (US$900,000) and grossed a total of ₹8 crore (US$1.1 million) at the box office. Black Friday won the Grand Jury Prize at the Indian Film Festival of Los Angeles, and was a nominee for the Golden Leopard (Best Film) at the 57th Locarno International Film Festival. Black Friday is cited by several critics and film scholars as Kashyap's best work. The film was included in CNN-IBN's 2013 list of the 100 greatest Indian films of all time and Mint's list of 70 iconic films of Indian cinema. In 2010, Raja Sen mentioned it in The Top 75 Hindi Films of the Decade list. It was included in critic and author Shubhra Gupta's book, 50 Films That Changed Bollywood, 1995-2015. Danny Boyle cited Black Friday as an inspiration for his 2008 Academy award-winning film Slumdog Millionaire. He stated that a chase in one of the opening scenes was based on a "12-minute police chase through the crowded Dharavi slum" in Black Friday. In 2014 filmmaker Vikramaditya Motwane, when asked about the most important films in last decade, replied Lage Raho Munna Bhai (2006) and Black Friday. ^ a b c "Are small budget films, the next big thing in Bollywood?". The Economic Times. 18 June 2008. Archived from the original on 1 January 2018. Retrieved 1 January 2018. ^ Zaidi, S Hussain (2002). Black Friday: The True Story of the Bombay Bomb Blasts. Penguin Books. ISBN 9789351180791. ^ a b c d e f N, Patcy (7 February 2007). "We shot Black Friday with hidden cameras". Rediff.com. Archived from the original on 27 December 2014. Retrieved 1 January 2018. ^ a b c d e f g h i j k l FC Director's Choice: Black Friday: Anurag Kashyap In Conversation With Vikramaditya Motwane. YouTube (Motion picture). India: Film Companion. 8 December 2014. ^ a b c Bhattacharya, Ananya (30 July 2015). "#ThrowbackThursday: Did you know director Imtiaz Ali played Yakub Memon on screen?". India Today. Retrieved 13 October 2018. ^ a b Siddiqui, Rana. "Still in the dark". The Hindu. Archived from the original on 3 November 2012. Retrieved 30 September 2018. ^ N, Anjum (23 July 2003). "'Black Friday will be a honest, hard hitting film'". Rediff.com. Archived from the original on 23 June 2017. Retrieved 30 September 2018. ^ N, Patcy (24 October 2007). "Our cinema is immature". Rediff.com. Archived from the original on 24 September 2015. Retrieved 1 January 2018. ^ ANATOMY OF A SCENE: Anurag Kashyap on Black Friday. YouTube. India: Rajeev Masand. 19 January 2018. ^ a b "Realism at its best". The Hindu. 11 February 2007. Retrieved 29 September 2018. ^ Mullick, Inam Hussain (25 March 2006). "Riding a rhythm wave". The Telegraph. Archived from the original on 2 January 2018. Retrieved 29 September 2018. ^ "Black Friday". iTunes. Archived from the original on 6 March 2016. Retrieved 15 March 2014. ^ "Black Friday (Original Motion Picture Soundtrack)". Amazon. Retrieved 29 September 2018. ^ a b Gupta, Bhasker. "AllMusic Review by Bhasker Gupta". AllMusic. Archived from the original on 21 October 2012. Retrieved 19 July 2009. ^ Das, Devdulal (26 August 2005). "Creating waves". The Times of India. Archived from the original on 12 November 2012. Retrieved 30 September 2018. ^ a b c d e Jhunjhunwala, Udita. "Controversial Black Friday finally cleared for release in India". Screen International. Archived from the original on 25 August 2018. Retrieved 13 October 2018. ^ "Feb release for Black Friday". The Telegraph. 11 January 2007. Retrieved 13 October 2018. ^ "Black Friday". Amazon. Archived from the original on 16 September 2017. Retrieved 13 October 2018. ^ Masand, Rajeev. "Masand's Verdict: Black Friday". RajeevMasand.com. Archived from the original on 8 October 2018. Retrieved 8 October 2018. ^ Hegde, Prithviraj (9 February 2007). "Black Friday is grim yet great". Rediff.com. Archived from the original on 3 November 2017. Retrieved 8 October 2018. ^ Chopra, Anupama (26 February 2007). "Review of Anurag Kashyap's Black Friday". India Today. Archived from the original on 8 October 2018. Retrieved 8 October 2018. ^ Adarsh, Taran (9 February 2007). "Black Friday Review by Taran Adarsh". Bollywood Hungama. Archived from the original on 17 February 2017. Retrieved 15 April 2015. ^ Gahlot, Deepa (9 February 2007). "Black Friday". Sify. Archived from the original on 8 October 2018. Retrieved 8 October 2018. ^ a b Desai, Rahul (6 September 2018). "Every Anurag Kashyap Film, Ranked". Film Companion. Retrieved 8 October 2018. ^ Rangan, Baradwaj (11 February 2007). "Review: Black Friday". Baradwaj Rangan Wordpress. Archived from the original on 8 October 2018. Retrieved 8 October 2018. ^ Joshi, Namrata (26 February 2007). "Black Friday". Outlook. Archived from the original on 8 October 2018. Retrieved 8 October 2018. ^ Sen, Raja (10 September 2014). "Birthday Special: Raja Sen celebrates Anurag Kashyap's movies". Rediff.com. Archived from the original on 8 October 2018. Retrieved 8 October 2018. ^ Mohammed, Khalid (9 February 2007). "REVIEW: Black Friday". Hindustan Times. Archived from the original on 8 October 2018. Retrieved 8 October 2018. ^ Seitz, Matt Zoller (8 February 2007). "Madness in Mumbai". The New York Times. Retrieved 31 January 2009. ^ Honeycutt, Kirk (5 May 2005). "Black Friday". The Hollywood Reporter. Archived from the original on 13 March 2014. Retrieved 31 January 2009. ^ McDonagh, Maitland. "Black Friday". TV Guide. Archived from the original on 8 October 2018. Retrieved 8 October 2018. ^ "Black Friday". Rotten Tomatoes. Archived from the original on 5 December 2017. Retrieved 8 October 2018. ^ Alter, Ethan (13 February 2007). "Black Friday". Film Journal International. Archived from the original on 8 October 2018. Retrieved 8 October 2018. ^ Elley, Derek (19 August 2004). "Black Friday". Variety. Archived from the original on 8 October 2018. Retrieved 8 October 2018. ^ "Black Friday". Time Out. Time Out Group. 15 February 2007. Archived from the original on 8 October 2018. Retrieved 8 October 2018. ^ Mukherjee, Tatsam (9 February 2017). "'Gangs Of Wasseypur' Was Great, But 'Black Friday' Is Easily Anurag Kashyap's Best Film Yet". ScoopWhoop. Retrieved 13 October 2018. ^ Sen, Raja (9 February 2010). "The Top 75 Hindi Films of the Decade". Rediff.com. Archived from the original on 5 January 2016. Retrieved 2 November 2015. ^ Gupta, Shubhra (2016). 50 Films That Changed Bollywood, 1995-2015. Harper Collins. ISBN 9789351778486. ^ Amitava Kumar (23 December 2008). "Slumdog Millionaire's Bollywood Ancestors". Vanity Fair. Archived from the original on 31 May 2012. Retrieved 4 January 2008.